Structured as an open cross-functional network of people and ideas/concepts, the ICA School, Project and Research Labs provide a comprehensive set of resources, facilities and tools for understanding and operating in the contemporary art scene in Armenia and the wider global art contexts. 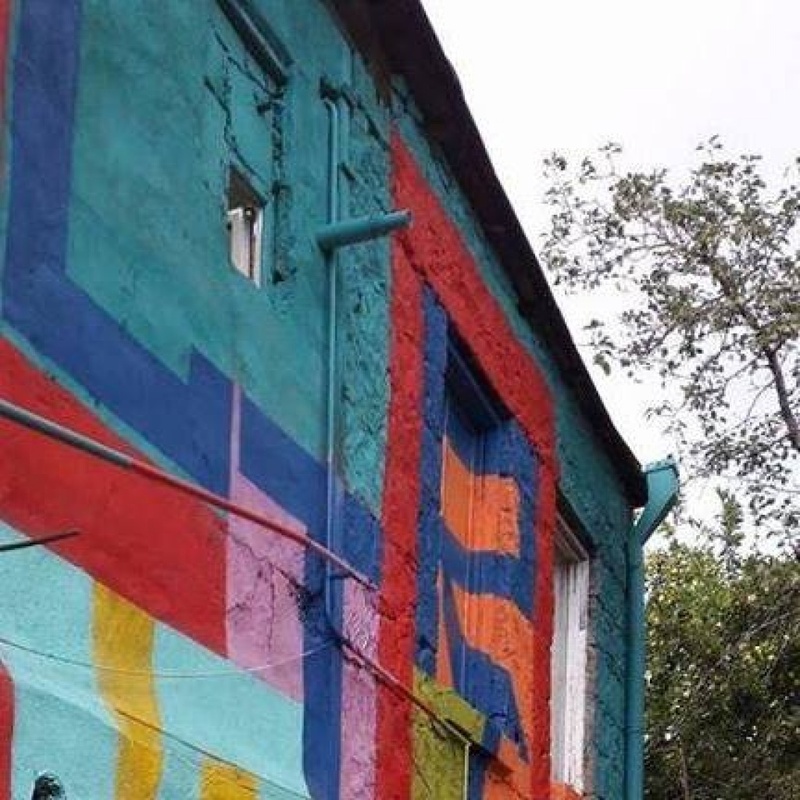 Karoyan Gallery and Nest artists’ residency introduce the outstanding artists, artworks and the current events of contemporary art and organize the exchange between local and international artists. 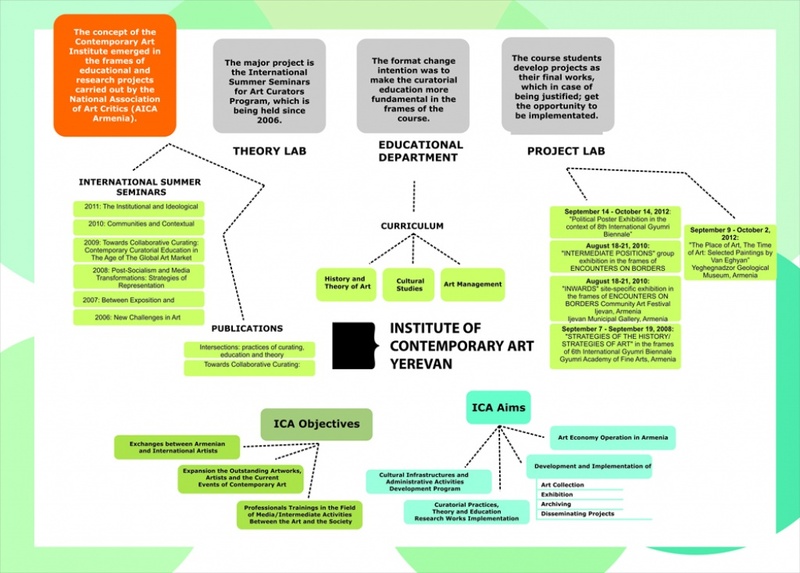 The Idea of the Institute for Contemporary Art emerged within the framework of educational and research projects of the National Association of Art Critics (AICA-Armenia). Its major project was the two-week-long Summer School for Art Curators program held since 2006. These research and project programs shaped the structural elements of the Institute. In 2008, these schools transformed into seminars’ format. The format change intended to make the curatorial education more fundamental in the frames of the course. In 2008 a six-month-long experimental course was launched, which was expanded in upcoming years into a four-semester long comprehensive study program. Research Lab was formed on the basis of the Summer Seminars Program. Students of pilot programs developed and carried final diploma projects. The idea of Project Lab came up from these works. The structural-functional cohesion of Research and Project Labs, as well as the experience in the educational program, eventually led to the establishment of the Institute for Contemporary Art in 2012.